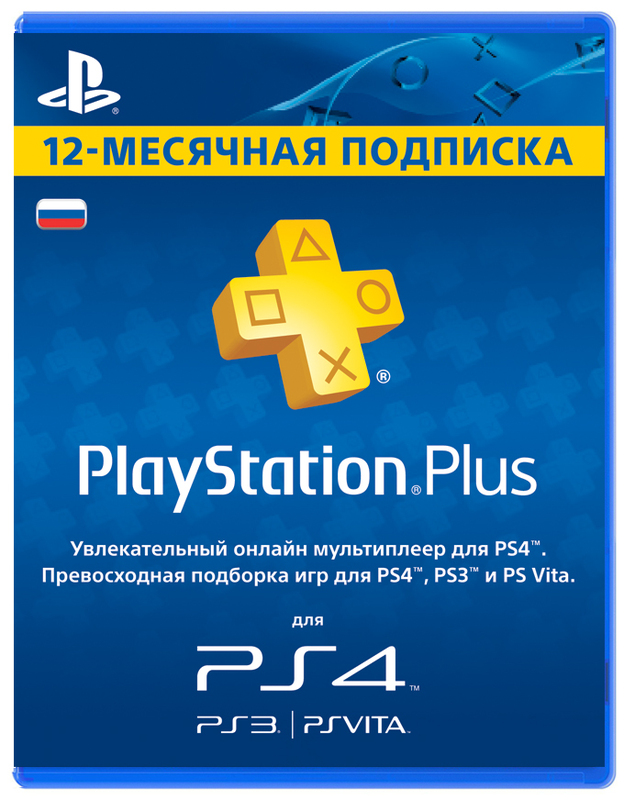 You buy the PlayStation Plus activation key (PSN Plus) for 365 days (Ru) - a subscription for a year (365 days) for use on Russian accounts. ATTENTION!!! This card is for Russian accounts only. PlayStation®Plus is the largest global community of new generation players. Online PS4 ™ online game: PlayStation®Plus is the only way to play PS4 ™ games with other players, be it your friends or rivals. Game of the month: you can download free * 24 favorite PS4 ™ games per year. Exclusive discounts: special offers on games and add-ons for them in PlayStation®Store. Online storage: 10 GB of cloud storage will hold all your save for PS4 ™ games. * You can play the games of the month only if your subscription is active. We would be very grateful for your positive feedback. If you do not have time to write a detailed review, then leave, please, just "+" or "ok." It does not take you time and is very important for us and our future work. Thank you in advance!